Thousands of tons of mercury are discharged into lakes, rivers and streams each year, making its way into the food chain and poisoning large amounts of the fish we consume. As a way to combat mercury contamination and poisoning, scientists have developed and engineered bugs that are not only resistant to mercury, but have the ability to mop up the toxic substance from contaminated areas, reducing the risk of fish becoming contaminated. These mercury-resistant bugs contain either the bacterial gene for polyphosphate kinase, or the mouse gene for metallothionein. According to the BMC Biotechnology Journal, both of these are capable of growing in highly concentrated mercury levels. These could help clean up environmental mercury spills, as well as in places where mercury has accumulated, even providing scientists and researchers the ability to recycle it for further industrial needs. The metallothionein bugs were grown in a solution that contains 24 times the dose of mercury that would kill non-resistant bacteria. More than 80 percent of them were safely removed from the test solution in five days. The proteins in metallothionein proteins regulate copper and zinc levels in the blood, as well as detoxify mercury and other metals while regulating immune system functions. 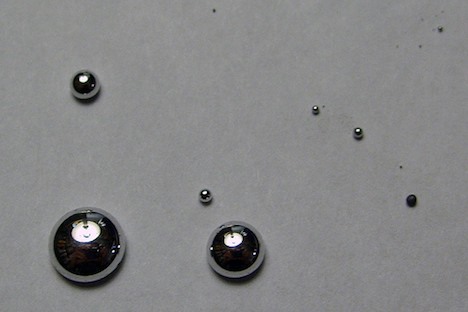 Symptoms of mercury poisoning include skin discoloration and itching, burning or pain, shedding of the skin and swelling. Provided they do not negatively affect wildlife or food sources (and that’s a big if), these bacteria could drastically reduce the amount of mercury contamination that enters the food chain each year.